Save My Home Stop Foreclosure and be a secret hero! No long, moving, heartbreaking story that tugs at your heart strings until your wallet opens. My family and I are just dealing with life and it is kicking our butts. It seems as though our bills have bills that are all flooding in and we are drowning. Right now we still have a roof over our heads, but my house will be foreclosed on on September 6. 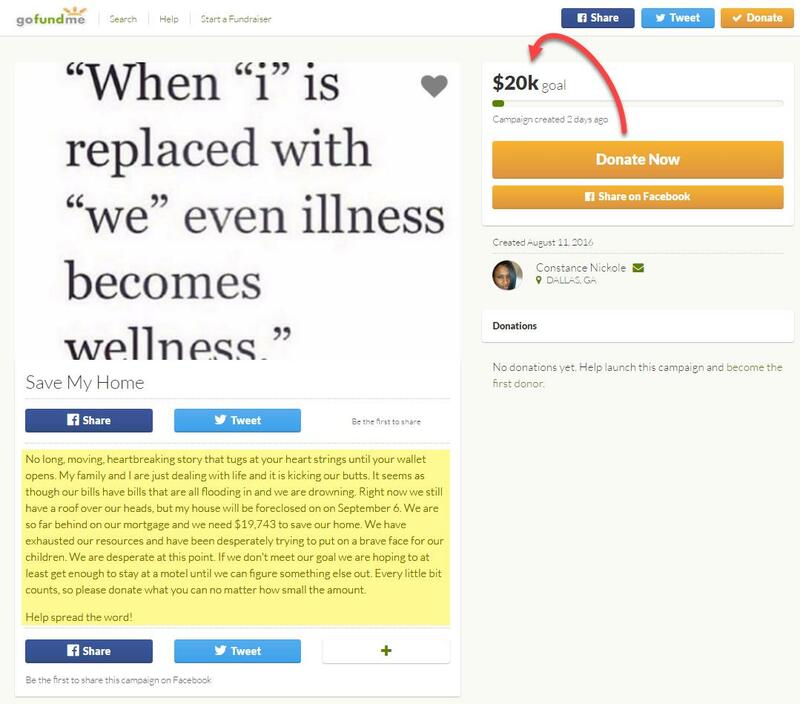 We are so far behind on our mortgage and we need $19,743 to save our home. We have exhausted our resources and have been desperately trying to put on a brave face for our children. We are desperate at this point. If we don’t meet our goal we are hoping to at least get enough to stay at a motel until we can figure something else out. Every little bit counts, so please donate what you can no matter how small the amount. This article was posted in Causes and tagged Family, Help, Hero, Home, House, SaveMyHome, Stop Foreclosure, StopForeclosure.